9 a.m. on a Saturday morning in beautiful Nashville, Tennessee. Windows down, driving slow on Broadway, guitars tuning, and mic checks in every bar window. Tootsies, Legend’s Corner, The Stage, the most historic venues in country music rocking songs from Johnny Cash to Jason Aldean, and the people playing them hitting every note perfectly; there’s no question why Nashville is and always will be Music City. Living in Nashville you are instantly exposed to the amount of talent that surrounds you here. If it isn’t Broadway, it’s the Bluebird Café, it’s festivals and coffee shops, honkytonks and sidewalks, the next big thing is always right around the corner… but for me, I found it in a small brick basement, aptly called, The Basement. Stopping by to meet a friend for a drink, I literally walked through an alley and into this speakeasy type of joint to find some of the best new music I’ve heard in a while. Sporadic wires scattered across the floor, creaky chairs lined up behind a skyline of mic stands, and people pushed right up against the stage, there wasn’t an open seat in the house, and I quickly learned why. A strong, rugged, raspy voice came from one of the mics and immediately caught my and everyone else’s attention. Now, believe me when I tell you, I have heard A LOT of country music, but I promise, I have NEVER heard anything like this. Maxfield Camp, a 24-year-old Nashville native, was a football star his senior year of high school and found music a little later in life when he began sitting for hours and hours at the piano playing “The Scientist” by Coldplay, just trying to get it perfect. After he got the hang of the keys he moved onto guitar, where he again played and played until things really started to click. As for his voice, call it another one of his many hidden talents – writing down lyrics, signing them in his head constantly, and ultimately singing them out loud, he knew he finally had all the musical ingredients working together. With a direction in mind, Camp continued writing, playing and singing, and also sought out acting to help further his career. Throughout such career, Camp landed an audition for Season 2 of The Glee Project. Beating out thousands of contestants, Max made it onto the show and had the opportunity to play an original song for casting director, Robert Ulrich, who was deeply impressed by Camp’s presence and abilities. 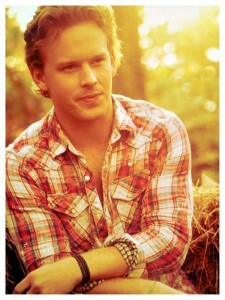 With talents in music, and now acting, Camp found himself auditing for ABC’s Nashville, where he scored a minor role. Did I mention, Max is pretty easy on the eyes too… talk about a triple threat. There is no question that he will continue to blossom in his acting career but right now he is all about the music. One of the coolest things about Camp’s music and style is his ability to write his own songs. There is no disconnect between the lyrics he puts on paper and how he sings them out loud, making for a raw, real projection similar to artists like Kip Moore, Eric Church, Bruce Springsteen, and Willie Nelson. The lyric mentioned before comes from a song by Maxfield Camp and his writing partner and band mate James McNair called “Outlaw.” While the song holds heavy meaning and expresses dark, emotional lyrics, like any good country song you can still relate to it, follow it, and get it stuck in your head. With so much going on in country music right now, so much happening in Nashville especially, there has been a ton of speculation as to whether or not there is any room left in the country industry for new artists… well, Maxfield Camp is making room. Camp is playing all over Nashville and fresh off a short tour in South Carolina. If you get a chance to hear this guy play- you need to check him out. His talent is truly one of a kind and he will without a doubt cement himself a spot on the country charts very soon. Look out for a follow up with Maxfield Camp and James McNair coming soon on CMP.